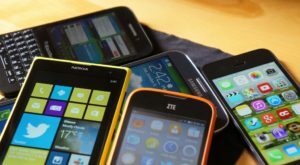 Electronic wastes or e-wastes are old or obsolete electronics—items that use electricity or batteries—that you wish to throw away like old cellphones, laptops, personal computers, printers, television sets, radio sets, telephones, etc. Disposing them isn’t as easy as shooting them through a garbage bin. Electronics contain toxins that will be harmful to the environment and human health when not tended to property. Elementary schools have started making a trend of organizing electronic recycling fundraisers. The great thing about this extra-curricular activity is that it hits two birds with one stone. One the one hand, the activity encourages people to recycle their electronic wastes. On the other hand, since this is an elementary school, the event actually teaches students the importance and the value of recycling e-wastes. 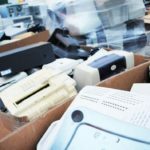 In the case of Castro Valley High School, the activity allowed people to donate their electronics while sending those that can no longer be used to All Green Electronics Recycling, a company with the most reputable recycling facility in the state. Do you have old electronics cluttering up your attic or garage? Castro Valley High School and All Green Electronics Recycling have teamed up to host an event to help you get rid of them responsibly–absolutely free of charge! Members of the community and businesses are encouraged to clean out their garage or attic and donate their old electronics to a good cause. Bring all of your old electronics to the event, including, but not limited to: computers, monitors, televisions, printers, mobile phones, laptops, DVD players, VCRs, microwaves, calculators, iPods, cables and wires, telephones, fax machines, scanners, computer parts, and more. All Green Electronics Recycling promises to recycle everything it accepts in North America and to never send electronics to a landfill or overseas for processing. Certified Data Destruction is available for a small fee at all of our events.